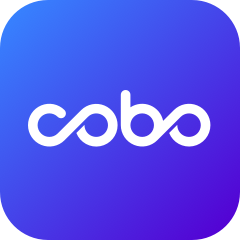 In this article you will learn the best way to stake your QKC – in the Cobo Wallet app! Note that this requires that you have your HD wallet already set up and already have your QKC stored in your HD wallet. If you haven’t done that yet, check out our how-to. 1. You have set up your HD Wallet, and already have at least 100 QKC stored in your HD wallet. 2. You have at least 0.002 ETH (Gas Fee) stored in your HD wallet. 3. Staking your QKC need to be authorized twice. That means you need to confirm your transaction twice, and pay the gas fee twice. 4. Please be patient at step 1 & 2. It might take about 10 minutes to confirm your staking. 5. Bonus votes. Community members will be rewarded with bonus votes based on the staking duration. 1. If you already have at least 100 QKC in your HD Wallet, open the Cobo Wallet app, go to the “Explore” tab and click the banner or “Quarkchain” Dapp icon. After you confirmed your stake amount and months, then click “Step 1/2: Authorize” to enter your PIN to stake your coin. 2. Make sure that your "Gas Price" is above 2 Gwei. Then click "Confirm" to enter you PIN to finish your staking. And you will see a rolling circle while you are waiting. After that, you need to repeat this step 2 to confirm transaction again. 3. When above steps were finished, you will find your stakings in “My Stakings”. Then you need to navigate to the top of the page, and click "Votes". You will find "My Left Votes" below. 4. Then you need to scroll the page to "Cobo" , and click "VOTE" to vote for us. And you need to click "Sign" to enter your PIN to authorize your votes. 5. After you confirmed your vote, you will see a successful text pop up. And you can also find your voting records in "MY VOTES". 6.Congratulations! After you did all steps above, you’ve staked your QKC! Get ready for rewards!